The connection paradox: Why are workplaces more isolating than ever? How poor work practices turn us all into remote workers. Dan Schawbel: A third of the global workforce works remote, yet two-thirds of them are disengaged in their job. I worked remote for over eight years and while I get the freedom and flexibility to work when, where and how I want, there's a dark side to working remote that does not get talked about in our culture which is isolation which leads to loneliness and unhappiness because you're not getting the same human contact you would be if you're in a physical office space. And so if you work remote you're much less likely to want a long term career in your company is what we found. And that's because you're not having the human interactions that are required to build strong relationships which lead to not only better business results but more longevity within a company. Even if you work in a physical office you could feel like a remote worker too. So many of us eat lunch at our desks in isolation. And new research found that if you're in an open office space you're actually less social. The promise of technology was to connect us all in a meaningful way. Yet, what has really happened is it's become more isolating because we're using the technology instead of having face-to-face conversations. Instead of meeting with someone in the office face-to-face or picking up the phone we look down at our screens. We tap our phones 2,600 times a day. We look at our phones every 12 minutes and even in meetings we're sending five texts. Up to half of a worker's day is spent using technology over face-to-face. The biggest culprit is email. We're constantly sending and receiving emails and that's led to a lot of misunderstanding. And one face-to-face interaction is more successful than 34 emails exchanged back and forth. So instead of hoping that someone understands you all you have to do is walk a few steps or pick up the phone and explain what you mean and by creating a deeper understanding you build on that relationship and you become more effective in doing your projects. Up to half of a worker's day is spent using technology over face-to-face. The biggest culprit is email. We're constantly sending and receiving emails and that's led to a lot of misunderstanding. And one face-to-face interaction is more successful than 34 emails exchanged back and forth. So instead of hoping that someone understands you all you have to do is walk a few steps or pick up the phone and explain what you mean and by creating a deeper understanding you build on that relationship and you become more effective in doing your projects. So we need a delicate balance of alone time and time with other people in order to be fully productive and happy and fulfilled in our job. 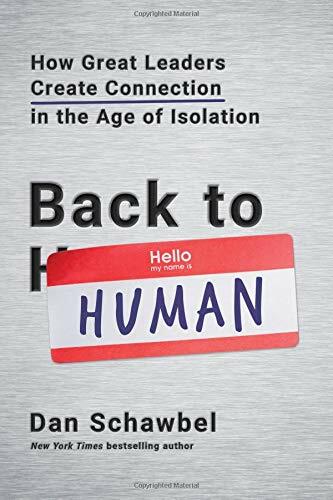 Technology's supposed interconnectivity doesn't breed human interaction, and has instead made many workers feel less happy and less productive. Using email rather than walking over to someone's desk and having face-to-face time is a major culprit. Inter-office messaging apps can also make employees feel more distant from their co-workers. Can the tech companies who created this issue turn workplace isolation around, or is this the new normal?